NORTH YARMOUTH — Children playing in the woods Friday morning discovered a woman’s body less than half a mile from the home of missing teacher Kristin Westra. The autopsy likely will take place over the weekend, said Capt. Craig Smith of the Cumberland County Sheriff’s Office. 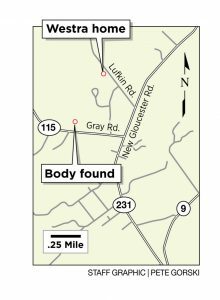 He would not say who found the body or disclose any information about its discovery near a house on Gray Road about 10:30 a.m. Friday. A man who lives at the house said that his grandchildren had found it. A group of Kristin Westra’s friends and co-workers at the Chebeague Island School who had gathered in Yarmouth on Friday also said they didn’t want to talk. “Things are still so raw,” one woman said. Westra was last seen Sunday night and police, wardens and volunteers had been searching the area around her home since Monday, when her husband woke up and discovered that she had left, without her car or cellphone. Jay Westra later said in an interview with NBC News that his wife was experiencing anxiety and had a safety “assessment“ Sunday before she disappeared from their home. She was under a lot of stress from renovations at the school where she taught and also at home, which she shared with her husband, their daughter and his son. “Sunday morning, Kristin was experiencing what I would call some anxiety and she expressed that she had some sleepless nights and was worried,” Jay Westra said. Searchers spent Tuesday and Wednesday bushwhacking through thick trees and brush in a roughly 1.5-mile radius around the Westras’ home. 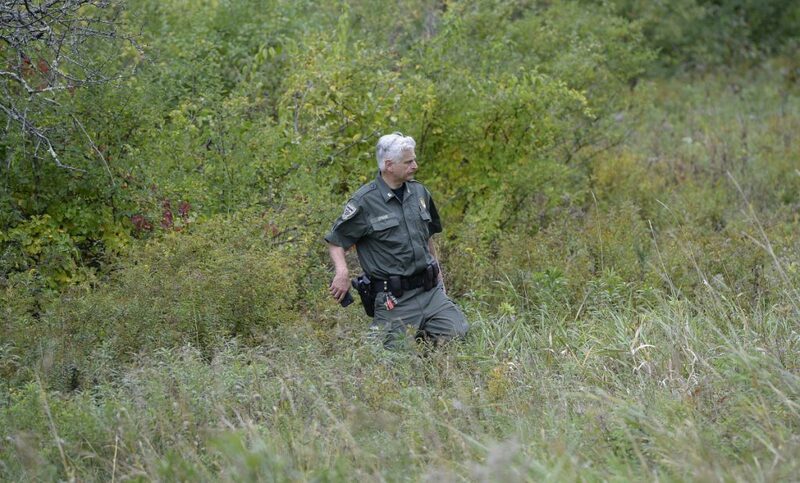 The active search parties were reduced Thursday but continued throughout the day. The search resumed Friday morning with several K-9 teams and then officials converged on the house on Gray Road, or Route 115, which runs almost parallel to Lufkin Road, with a large tract of woods in between. On Friday night, Ed Gervais, who lives in the house, said his grandchildren had found the body in the woods. He was at work at the time, but said his wife, Joyce, was at home. Asked if his grandchildren were all right, Gervais said, “I hope so” before declining to comment further. Crime scene tape was in front of his house during the day, but officials would not say whether the body was found on that property, which was within the 1.5-mile radius of the Westras’ home on Lufkin Road. 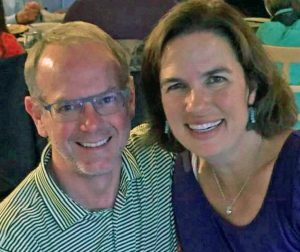 Kristin Westra’s brother, Eric Rohrbach, has described his sister as an early riser and as someone who is active and fit, and that leaving the home without telling anyone or having a way to communicate was deeply out of character for her. Sgt. 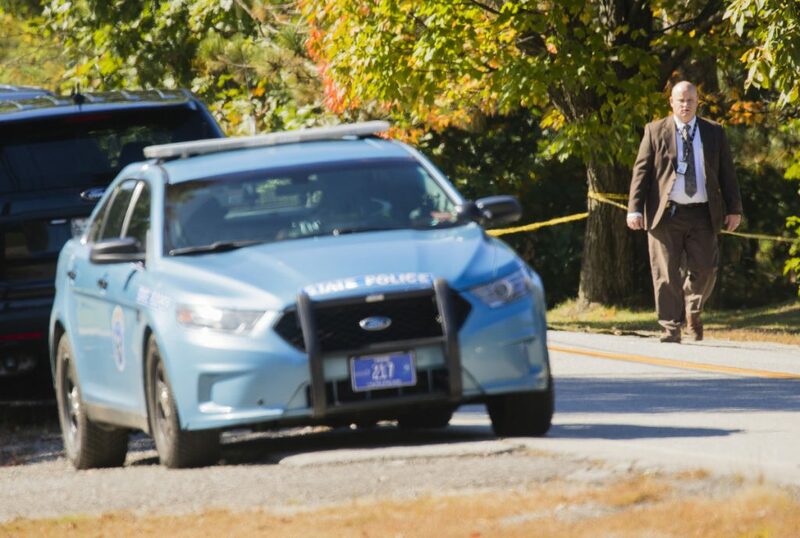 Paul Thorpe of the Criminal Investigation Division of the Cumberland County Sheriff’s Office leaves a property on Gray Road in Yarmouth on Friday after a woman’s body was found nearby. The property is close to the home of Kristin Westra, who hasn’t been seen since Sunday night. Jay Westra said Kristin was not on any medication, and said he would have supported her if she said she needed some time away. After the visit with a medical professional Sunday, Kristin had planned to have blood work done Monday. She also had a plan to return to her usual running and yoga – activities that had been disrupted by the start of school and the renovation project at their home – and to make slight changes to her diet and her sleep patterns. A candlelight vigil had been planned for Westra at the Congregational Church in Cumberland on Saturday at 5 p.m. It wasn’t clear late Friday afternoon whether that would still happen. Staff writer Mary Pols contributed to this report.